The leading enterprise software platform to manage all your legal operations, matters, spend, vendors, knowledge, and more. SimpleLegal is the only solution that helps you run your entire department – not just your spend and matters. Addressing modern legal operations challenges with an enterprise platform. Modern and intuitive software, flexible enough for changing business needs. Foster better relationships through collaborative technology and data. Dedicated to long-term success while driving innovation. SimpleLegal gives you a clearer view of your department and helps you focus on what matters most. Automate workflows, streamline operations, and enforce processes – we put you in control. SimpleLegal is a truly simple solution for legal teams of all sizes. From tracking legal spend to managing your matters to integrations and analytics, you have everything you need to operate efficiently and effectively with our leading legal operations platform. Confidently show the value and impact of your legal department. Simplify the way your legal team operates and completes day-to-day tasks. Leverage legal analytics to make data-driven decisions. Whatever your goals are, SimpleLegal helps you achieve them. Centralize key information for all of your matters and standardize the process for creating, managing, and analyzing matters. 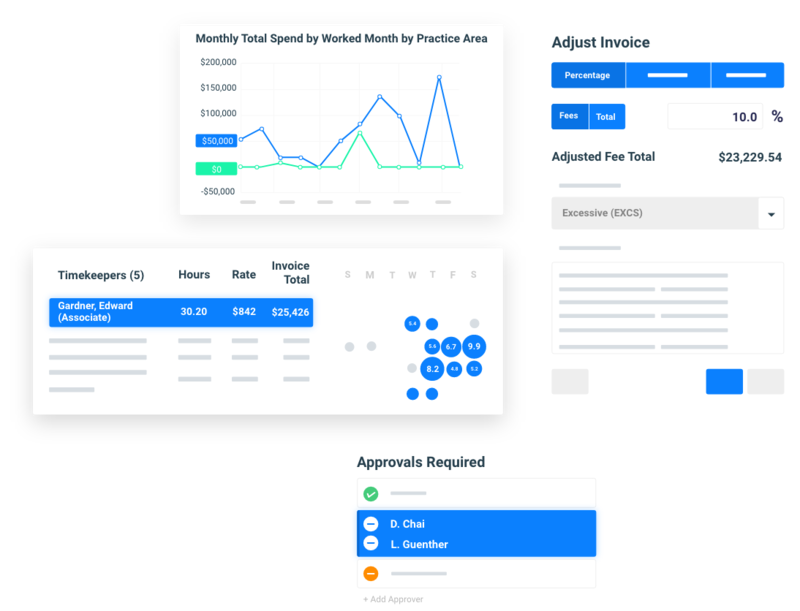 Gain complete visibility into legal spend along with controls to enforce billing guidelines and manage invoices, budgets, accruals, and more. Improve the way your legal team engages with outside counsel and strengthen the partnerships that mean the most. Improve the way your team creates, shares, and finds information and gain quicker access to key intel to boost productivity. Get the actionable insight needed to understand performance and improve the operations of your legal department, in real time. Easily integrate other systems with the SimpleLegal platform to achieve a true system of record, streamline processes, and save time and resources. "SimpleLegal is an easy, intuitive tool that solves a real need for our legal department. Not only have you helped us be a better business partner, but you've also helped keep us aligned with finance." See how SimpleLegal can transform your legal operations.